Excellent quality Swedish base and mid layers these. The Merino is looped to trap warmth and is comfortable and strong with the addition of man made fibres. I have used these in a variety of conditions to layer up/down and they have proved their worth many times, comfortable and strong, breathable and warm...couldn't be better! Ullfrotté Original is the material developed by Woolpower AB in Östersund in the early 1970’s in collaboration with the Swedish military, scientists, doctors and survival experts. The textile is highly wear resistant and consists of fine Merino wool, polyamide/polyester and air. The material is knit so that one side is smooth, and the other has terry loops. The lofty terry loops, in combination with the crimp in the wool fibers, creates a knitwear capable of trapping a lot of air. Up to 80% of the material actually consists of air, which means that the material has an excellent capacity to trap body heat. The more air you can keep still around the body, the more heat you can retain. Air does not to any large extent transport heat away from the body, but textiles do. Ullfrotté Original’s lofty knit has few contact points with the body, which reduces the number of points where body heat can be wicked away. The permeable Ullfrotté Original material easily lets moisture escape from the body. As you become hot and you perspire, vapor pressure builds up inside your clothes. The moisture molecules strive to get outside where the air is colder and the pressure lower. If the material is loose and the fibers have the right properties, they will help transport moisture away from the body. The soft terry knit surface of Ullfrotté Original can easily be worn on warm skin to maximize body heat retention, while simultaneously helping to wick perspiration away from the skin. Ullfrotté Original retains body heat, even when wet. 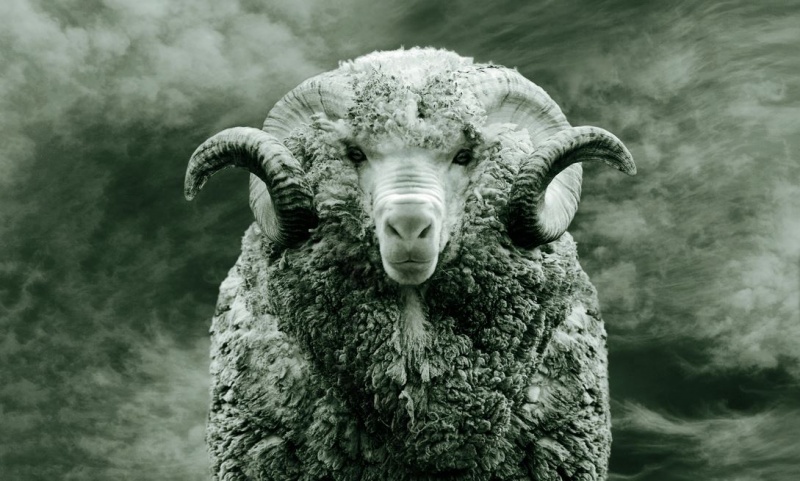 Merino wool is known as a very fine, soft and crimpy wool and is perfect for garments worn next to the skin. The wool used in Ullfrotté Original is 22 microns, meaning that the thickness of the wool fibers is 22 thousandths of a millimeter. This results in comfortable wool that is also strong. But they do allow you to retain the warmth that you produce. Think about how you dress: small details make a big difference when the weather is harsh and your energy level is dropping. should help to retain heat that the body produces, it should also transport excess moisture and heat that the body does not need. An efficient way of dressing in a cold climate is to use layers. This provides a versatile and flexible system that not only protects against cold, wind and wetness, but is also easy to ventilate or modify if you get too hot. The layering principle is divided into four main layers. in synthetic fibers or wool is superior to cotton, which absorbs moisture and dries poorly. A mid-layer that adds extra insulation, and thus retains body heat. The purpose of the second layer is to create an insulating layer of air. In cold weather or if the activity level is low, a thicker layer is needed. The more air in the clothes, the better the insulation. between layers 1 and 3. Modern shell garments release some moisture through their material. During high activity levels, the garments should allow ventilation at the neck, the cuff or at other dedicated openings to increase the release of warm, moist air. Windproof, high loft down or synthetic-filled garments that are easy to put on over the shell layer. These should be worn during break times or when making camp. Keep this layer easily accessible so that the important breaks do not become shivering adventures. ...One seamstress sews the entire garment from start to finish. The seamstress signs off on the garment by sewing a nametag into it. Purchase through PayPal by using the "Add To Cart" button above or use the form below to order the Woolpower Zip Turtleneck 200 Green . 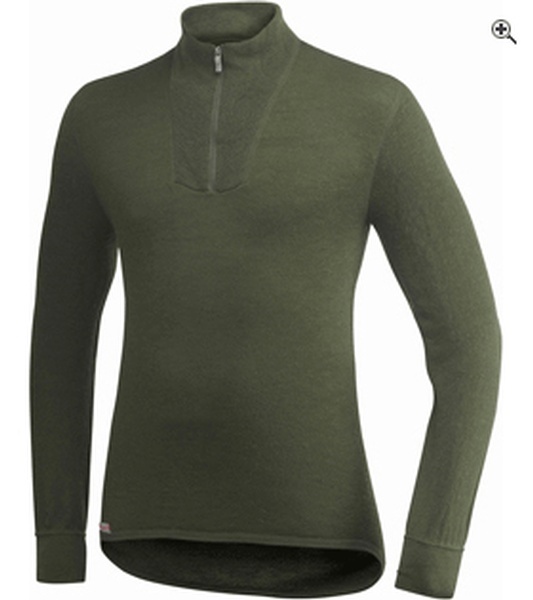 Feel free to contact us if you have any questions about the Woolpower Zip Turtleneck 200 Green .